The next generation of 4 cylinder engines from Mercedes Benz, according to the company will be so frugal that it will very easily rival BMW’s latest 3 cylinder units. This brand new family of engines is being co-developed by Mercedes Benz and Renault. The first to come out will be 1.2 litre and 1.5 litre units. On the contrary, the latest BMW 3 cylinder is a 1.5 litre unit. Merc’s head of powertrain strategy Jurgen Doring told that Mercedes has totally ruled out the development of a 3 cylinder engine since the 4 cylinder motor will turn out to be so good. The new range of engines is being developed to meet the stringent EU emission norm target of 95g/km by 2020, a 45g/km reduction on the current 140g/km figure. Despite this ever rising requirement for more and more stringent emission norms, the company says that it will be offering luxury cars with powerful engines in the future too, and to achieve this, Mercedes thinks plug-in hybrids are the solution. These provide a good mix of power and low emission levels. One of the examples is the E300 and it has a tailpipe emission of just 109g/km which according to Mr. Doring is just the start. 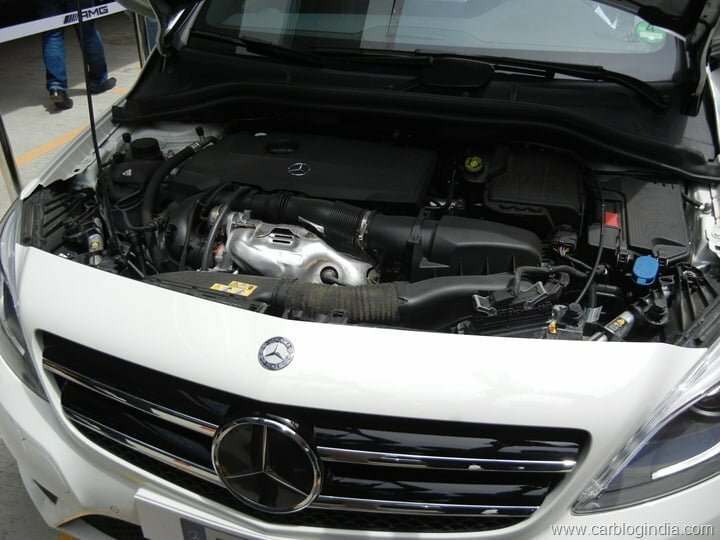 The new 4 cylinder engines will be featuring in the A-Class and the B-Class models from 2014. Since they are being jointly developed by Renault, these engines will also make way into the Renault cars, though unclear which cars exactly will be benefiting from this. We also expect that Renault will be branding these engines as its next generation K9K series. In that case, it might make way into the Duster and the Fluence models. Apart from new engine development, Mercedes Benz is also carrying out research into weight reduction. “Every time we design a new module, the weight target is a reduction of 14 per cent,” said Doring.